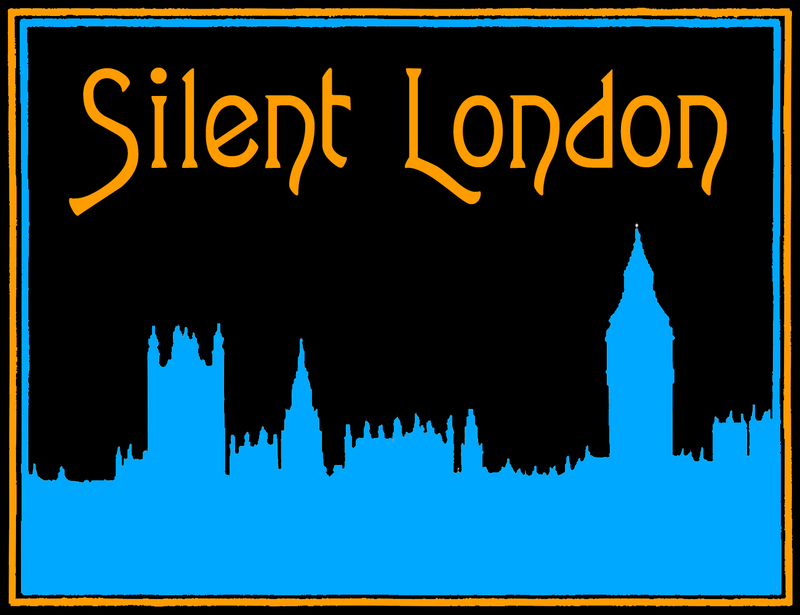 This is a guest post for Silent London by Jo Pugh, based on hitherto unpublished information about the military record of British film director Walter Summers. History written by the victors is one thing, but history written by movie studio advertising executives may not meet the highest standards of evidence: Walter Summers did not fight at Mons, Walter Summers was not a Captain in the Great War, Walter Summers was not the recipient of a DSO. But the truth is not any less interesting. Walter Summers was a highly decorated war veteran but the precise details of his early life and military career have become a little mangled through a combination of hazy memory and the application of a bit of stardust. Surviving records allow us access to a little understood side of Summers and seem to place his film career in a slightly different light. 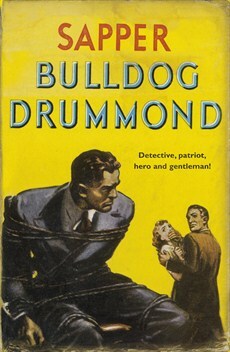 Walter George Thomas Summers was born on 2 September 1892 in the West Derby district of Liverpool. This date has become confused, probably because Summers seems so confused about it himself, writing conflicting ages on just about every official form going. His mother and father were both actors, his father (also Walter) a member of one of D’Oyly Carte’s touring companies who had a close association with Liverpool’s Royal Court Theatre. He died when Summers was quite young, leaving his mother, Mary Ann, to bring up Walter and his three sisters, Mary, Beatrice and Irene in Liverpool. In the 1911 census, Walter gives his occupation as “Theatrical Property Maker” – his association with the theatre began very early. On his application to become an officer, Arthur Lawrence, manager of the Royal Court Theatre, Liverpool, testifies as to Walter’s good character for the period 1903-6, in other words from the age of about 11 to 14. 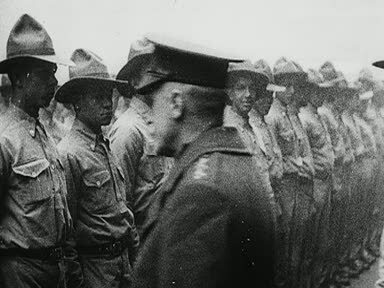 In their haste to join up in 1914, many young men lied about their age. 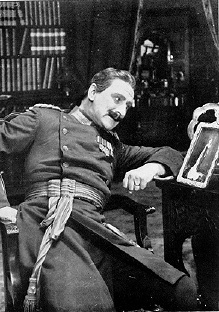 Summers was a more seasoned 22 (though, characteristically, he wrote 21 on his form) and unlike many of his compatriots was not contemplating leaving England for the first time: he had already travelled to Australia and South Africa with Thomas Quinlan’s opera company, prior to his first film work with London Film Productions. This latter role probably culminated in work on George Loane Tucker’s version of The Prisoner of Zenda, in which a certain amount of armed European conflict is treated with all the seriousness of a works outing. London Film’s studio was a former skating rink at St Margaret’s, just over Richmond Bridge, which explains why Summers, the Liverpool boy, joined the army at Kingston. He joined up in October 1914, less than two months after the defeat at Mons. In retrospect, MGM’s claim that he fought at the battle is not very plausible: only members of the British Expeditionary Force, regular soldiers who had joined up before the war started, fought at Mons. Summers was a member of Kitchener’s volunteer army and would have been among the first significant wave of recruits to reach France. Even so, he didn’t leave England until the autumn of 1915, almost exactly a year after he had joined up. Joining as a private, Summers quite quickly rose to the rank of Sergeant in the 9th battalion of the East Surrey Regiment. This battalion is most closely associated with the playwright RC Sherriff, who used his experiences serving within it as the basis for his most famous play Journey’s End, subsequently directed on stage and then in 1930 on screen by James Whale, who had himself served in the Worcestershire Regiment. Summers and Sherriff knew each other but seemingly as comrades, not friends. Summers arrived in France a year before Sherriff and shortly after the battalion had suffered appalling losses at the battle of Loos. Subsequently, the 9th East Surrey fought at Ypres and the Somme. At the latter in July 1916, Summers was awarded the Distinguished Conduct Medal for his service at the Battle of Delville Wood. “A nightmare that men will dream again,” wrote the journalist Philip Gibbs, of the month-long conflict over the small piece of woodland believed to offer some tactical advantage. By the end of it, thousands had been killed and barely a tree was left standing. Summers won his Military Medal for leading a fighting squad of eight men from the battalion in a risky daylight raid on 25 January 1917 near Hulluch, in the Pas de Calais. One of six such squads, with orders to identify the unit opposite, “inflict losses” and obtain a sample of German bread, the small force ran across no man’s land under the cover of somewhat tardy smoke bombs and a smattering of “wild and erratic” machine gun fire. With the element of surprise, the British killed a number of Germans (Summers shot at least one) before meeting “hostile resistance”. Summers’ group were among the last to withdraw from the German trenches. The force returned with three prisoners and the bread sample. By its own account it had suffered seven casualties and inflicted around 21. German records in contrast put their losses at eight. Summers was personally commended for “the determined and fearless leading of his fighting squad”. Reading the description of the attack in the unit’s war diary, it is impossible not to be reminded of the raid depicted in Journey’s End. This is because it was indeed Sherriff’s inspiration for the attack that preoccupies his characters in the second half of the play. Nine months later, Summers was posted to cadet school to obtain his commission. “One of the best cadets in company”, scribbled his commanding officer, on the form recommending his appointment as a 2nd Lieutenant. Now a commissioned officer, Summers joined the 12th battalion of the East Surreys in the latter half of 1918, but his time with them was not very auspicious. He spent about six weeks on active service in France before being shot in the thigh (“not bad – it could have been”, he later reflected) and was rushed back to England in November 1918. Summers spent Armistice Day in Acheson Hospital for Officers on the edge of Regent’s Park. Being wounded didn’t damage his career; on the contrary, it won him the Military Cross. After being discharged, Summers spent a brief period serving in India but in April 1920 was finally gazetted out of the army with the rank of Lieutenant – a position he held for such a short time that the notice of his attaining the rank and the notice of his relinquishing it, appear in the same entry of the London Gazette. This appears to have been Summers’ highest rank. The War Office wrote back requesting more particulars, and Summers complied, noting: “I must inform you that I have been in communication with the RIC Auxiliary Corps.” This Royal Irish Constabulary Force operated alongside the infamous Black and Tans. Nothing came of this and the correspondence appears to have tailed off in April 1921 when the War Office told Summers that they would require a recommendation from a senior officer. So directing was very much Summers’ second choice of career. 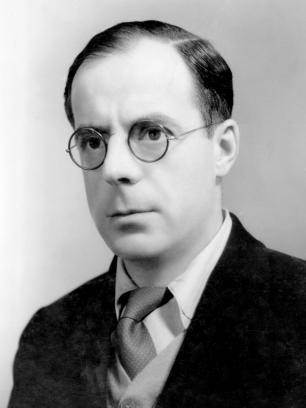 The War Office told Summers to apply directly to local commanders but warned “your age would somewhat preclude your appointment except in special circumstances”. It appeared that the director had left it too late. But the following year, watching nervously as German rearmed, the government of Stanley Baldwin established the National Defence Companies of the TA, specifically designed for former servicemen. Unfortunately, Summers pointed out in his letter of application (“I own and continuously ride a horse. I also fly”) that he was 42. That he was in fact 44 was irrelevant. He was, ironically, too young to qualify for the force, which had a minimum age of 45. In 1937 he was accepted into the Officers Emergency Reserve but in 1938 he was turned down for the Officers Supplementary Reserve on the grounds of age (too old again). Undeterred, he immediately applied for a commission in the Auxiliary Air Force. Summers’ anticipation of the coming war can be seen in his late film Traitor Spy, with its timely inclusion of villainous Nazis, in the can well before the end of 1939. When war did break out, Summers’ repeated attempts at re-enlistment were finally successful – but what he actually did during this second period of service I can’t immediately say, as these records remain with the Ministry of Defence. With its precious details of his background and wartime service and invaluable insight into Summers lifelong preoccupation with the armed forces, Summers’ service record is an invaluable document. Its survival is almost as precious as that of a silent film: around 60% of the records of Great War veterans were destroyed by fire in 1940. But Summers’ file tells us something quite unusual in that it gives us some sense of how he felt about the war. Writing in the journal Close-up, the novelist and critic Winifred Ellerman let it be known that she was not a fan of Walter Summers’ films, saying flatly of watching Mons: “I would like something to take away the memory.” But her criticisms often revolve around the tone of Summers’ war pictures. She describes Summers’ Battles of the Coronel and Falkland Islands as “not … a bad film” but complains “throughout the performance there was not a single suggestion that war was anything other than an elaborate and permissible adventure”. The implication is that Summers himself possessed no deep knowledge or opinion on the conflict (“there was no central idea back of this picture”) and ultimately she dismissed the film, rather tactlessly, as “so utterly what unimaginative classes imagine war to be”. In fact, as we have seen, Summers had to exercise no more imagination than RC Sherriff in devising his war films. Rachael Low has compared Whale’s Journey’s End directly to Summers’ film Suspense, released the same year and also set in the trenches. 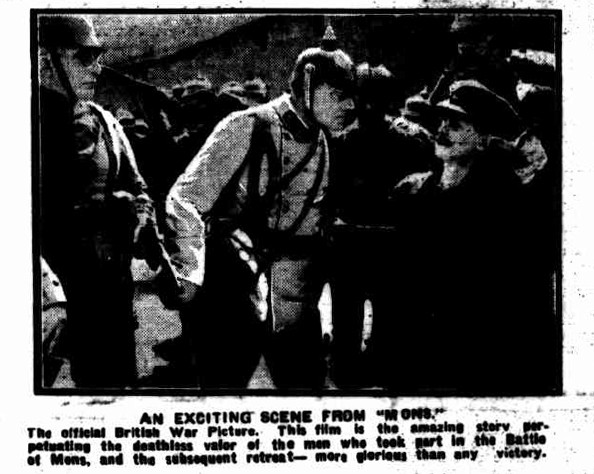 For Low, Suspense was “technically inferior to … Journey’s End but compares well with it for its greater realism and a more adult attitude to war.” What impressed Low and alarmed Ellerman was the personal view being expressed through Summers’ films. These records allow us a greater understanding of what formed that view. Summers’ war pictures were not unthinking propaganda and it is patronising to consider them as such. They were the product of an unusual man who, when tested by the war, found that he thrived on the experience. How he managed the aftermath is still available for us to see on screen. Jo Pugh is a doctoral researcher at The National Archives and the University of York. You can watch Walter Summers’ A Couple of Down and Outs (1923) here, at the European Film Gateway, with Dutch intertitles.